How to Become a Forensic Scientist in Georgia? Forensic Scientists are much more than what you see in television shows such as “CSI” or “Bones”. Few forensic scientists actually go to crime scenes, and none make any actual arrests. Most of their time is spent working in laboratories conducting detailed analyses of the materials gathered from the crime scene. Another major chunk of their time goes towards compiling paperwork, reporting on samples and validating the results of various tests. There are around 460 forensic science technicians currently working in the state of Georgia, a number that is expected to grow by 18% in the coming years. If you are interested in this field, the following information will guide you about how to become a forensic scientist in Georgia. In addition to these duties, forensic scientists also work in laboratories. Here, they perform various kinds of chemical, microscopic and biological tests on evidence gathered from the crime scenes. In addition to that, they explore the potential links between criminal activity and suspects, by making use of DNA or other kinds of scientific analyses. Their lab work might also require them to consult with other departments, such as toxicology or odontology. To better understand what this career has in store for you, here is a short note on the kind of work environment you would be working in. Forensic scientists may be required to work in all types of weather, spending hours in the lab or offices. Overtime may be common. Technicians working in labs might have a standard work week, though they may be needed to work on cases on an urgent basis. Most forensic scientists work for the government in various capacities and on different levels. Only 3% work in medical and diagnostic labs and only 2% work in testing laboratories. Note: The exact steps to be employed as a forensic scientist in Georgia would be dependent on your employer. Every job and employer has its own set of educational, training and experience requirements. So make sure you check with potential employers before applying for jobs. The following information is largely generic, applicable to forensic scientists across the country – therefore, use it as a guideline only. The US Bureau of Labor Statistics lists a bachelor’s degree as the minimum education requirement for a forensic scientist looking for entry level positions. Potential majors could be physics, chemistry or even a bachelor’s degree in forensic science. Most positions for forensic scientists do not require more than a bachelor’s degree, especially at the entry level stage. However, some occupations or employers might need higher educational qualifications such as a master’s degree or a Ph.D. Having a higher educational qualification would open up better job options for your with specialized coursework in subjects like stable isotope techniques, fire and arson investigation or DNA Analysis. According to the US Bureau of Labor Statistics, forensic science technicians typically have an undergraduate degree in the natural sciences and a master’s degree in forensic science. 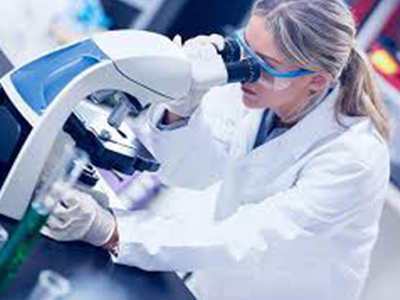 Forensic Scientists have a vast variety of places where they can work, owing to the growing popularity and need for the expertise offered by them. You can find employment with the government, or in the offices of local labs and investigators. Once you have been hired, most organizations would require you to complete an on-the-job training program. You are advised to take full advantage of this especially if you want to excel at your job. Since every employer has different ways of dealing with evidence, recording, reporting and presenting, this training program would help you understand what is required of you. Once the training is complete, you may be allowed to work independently on cases. There are many other organizations offering certification programs for forensic scientists in Georgia. You may choose to go for certifications in various areas such as molecular biology, hairs and fibers, drug analysis and paints and polymers.